A nice little add on item for £2.88. 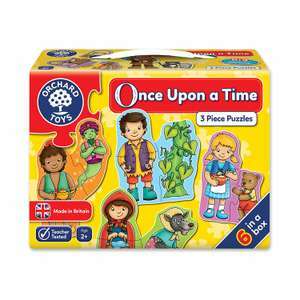 My kids love these jigsaws, this one contains 6 x 3 piece fairytale jigsaws,perfect for little ones from about 18months onwards. 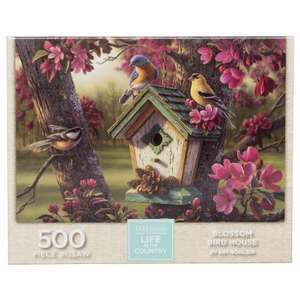 500 piece jigsaw which features a beautiful painting of a blossom bird house by the talented artist Kim Norlien. Jigsaw is 500 pieces and approximate finished size is 49 x 34.3 cm. Thank you, just ordered one. 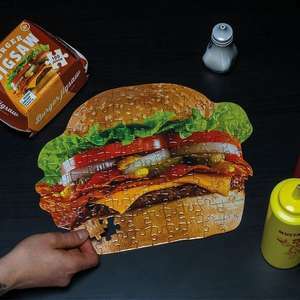 Burger Jigsaw, it's a Jigsaw that is a burger in a burger box (party) just because. 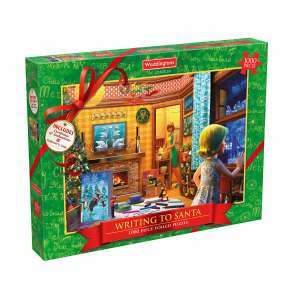 Now a whole £1, from £3.99 @ Robert Dyas in Witney. Great, thanks, may be more convenient for some people :) They must've just changed it as it was full price when I checked earlier. Never miss a 'Puzzle' deal again! Those were the days, I remember playing for about 45 minutes to get to level 18, before losing 3 quick lives in a row.... then trying all over again.. and again... Not sure if people would have the patience for Manic Miner these days. Found in Tesco Gillingham. Priced /Ticketed at £5 but scanning at £1.25. Also had Paw Patrol. Worth checking in other stores for the price. Yeah RRP, so cold from me. Not sure why this was posted TBH. Found them in Asda Poole on sale counter there was plenty left. It's not on their website as i've posted above. Shame this is cold -but was on here FREE a month ago. Good game I will pay for the sequel if it ever comes out.